You are going to Watch One Piece Episode 424 English dubbed online free episodes with HQ / high quality. Stream Anime One Piece Episode 424 Online English dub Break Through the Crimson Hell! Buggy’s Flashy Grand Plan! Luffy easily defeats the Blugori while Buggy is unable to defeat even one. Buggy reveals his past association with Ace and the circumstances behind his capture, and agrees to work with Luffy in exchange for the armlet he got at Thriller Bark, which is a clue to Captain John’s treasure hoard. 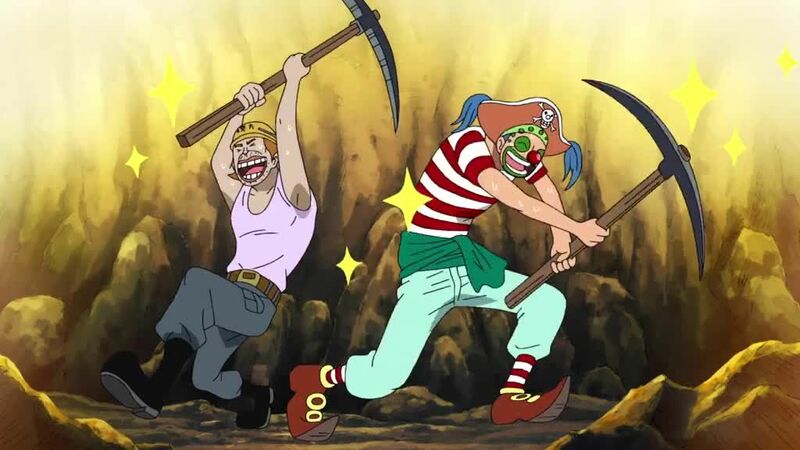 Buggy and Luffy reach the first level of Impel Down, known as the Crimson Hell, where prisoners are forced to run through a forest with spikes for grass and spiked trees. Buggy’s Chop Chop fruit powers enable him to carry Luffy over the spikes, but while he plans on abandoning Luffy there, he accidentally falls along with Luffy to the second level, the Floor of Wild Beasts From Hell, where Mr. 3 is imprisoned.